What a fun challenge and love your Twins card – it’s soooo adorable! 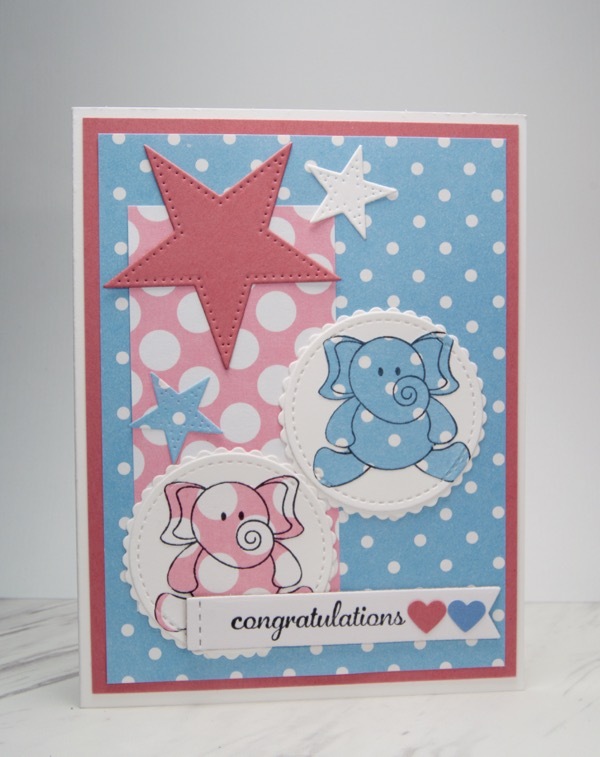 So cute and adorable are those little elephants and your card is perfect for the arrival of twins. This is adorable. I love it. Perfect colors and perfect card for someone having twins. Totally gorgeous Nancy. Perfect colours for your Twin card. Well how stinkin’ cute is this? I love what you have done with the challenge, and the card couldn’t be any more perfect for your friend. So I assume there is a boy AND a girl involved. She will be so tickled to get this, it’s just beyond adorable!!! This is so adorably sweet! I love the polka dot elephants. This is a great idea for a twin card. 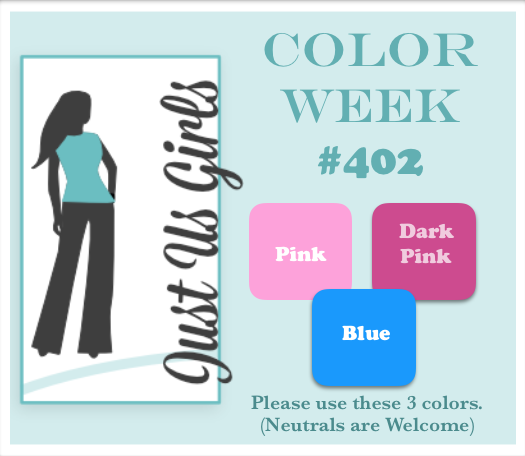 Super cute card and it worked out perfectly with the challenge colors. Sweet card!